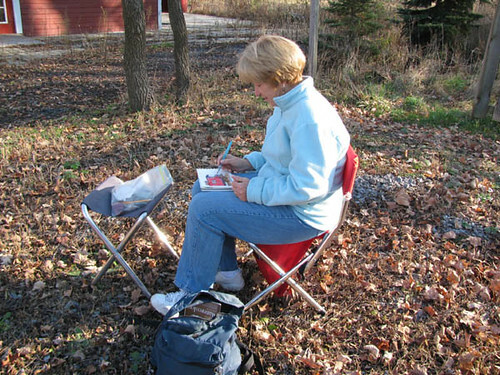 By the time we settled in to sketch the caboose, take a bathroom break, eat lunch, and sketched the train station, it was already starting to get late. We stopped for a cup of coffee and headed home. I was hoping to get more sketching in, but it gets dark early now. Last edited by mhimeswc on Sun Nov 22, 2009 2:09 pm, edited 1 time in total. 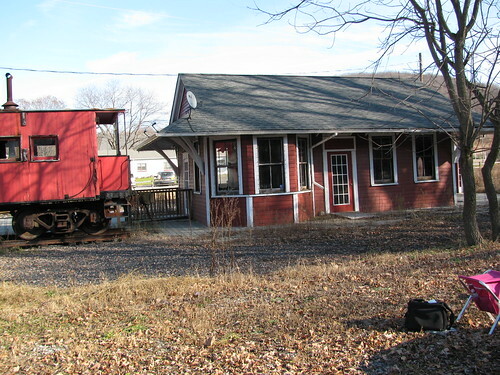 Next to the caboose was the abandoned train depot. The lines and windows were interesting. It was starting to get late and we needed a pick me up. We went into a restaurant in town for a cup of coffee. I sketched some of what was on the table. Calm feeling is transmitted a lot of a wonderful sketch. Wow, those are really great! They really have a nice, cozy feel to them-it's weird how you can get that across just by drawing what you see! Tetsu, Alissa, Rohit, and Miss-B-Movie - Thanks so much for looking and commenting. 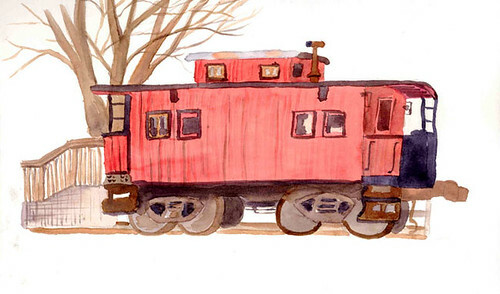 I've always wanted to try sketching a train. When I saw the caboose I thought it was the perfect thing to try. I have to tell a story that goes with our sketches. 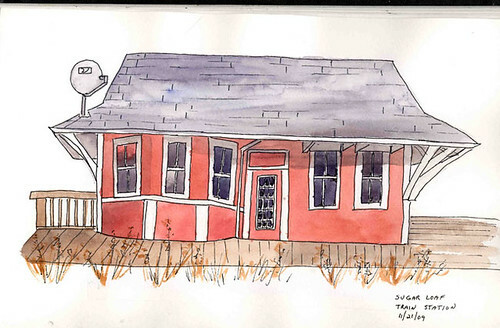 Last night I received a phone call asking if I was the person who had posted sketches of the Sugar Loaf train station and caboose on their blog. The person who called is in the process of buying the train station and is planning to turn it into a cafe. He was researching the history of it on Google and my blog popped up. He wants to buy my sketches to hang in the cafe! wow! super cute sketches! love them both! And congratualtions on selling your sketches to the cafe-- a timely part of your station's history! 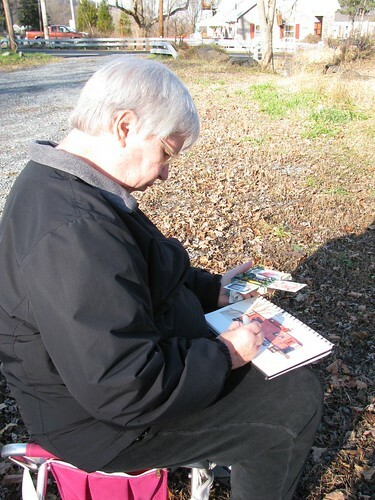 I guess we will have to go back to Sugar Loaf after the cafe opens to see your sketches on the wall.